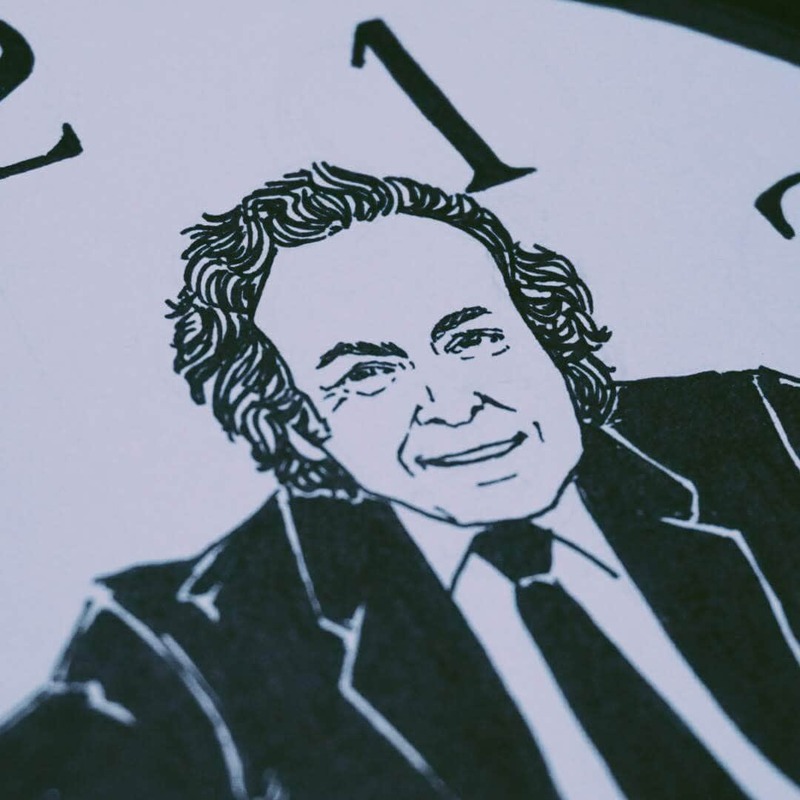 Inking Science Day 14 - Richard Feynman and that time the clock stopped. Want to learn some physics? Go watch/read Richard Feynman’s Lectures. Want to be inspired? Feynman’s Lectures. Want to have some fun? Feynman’s Lectures. Feynman is one of the most loved scientists of all times. And for good reasons. He was awarded the Nobel prize for Quantum Electrodynamics, he collaborated in the Manhattan project, he invented a new type of diagram to describe the behaviour of subatomic particles (one of which is called penguin diagram – I like penguins!). But at the same time, he would play the bongo, he would spend time pranking his colleagues by discovering their combination locks, he would deliver engaging lectures that have made the history of science communication. There is a famous episode that in the most intimate and moving way can inform us about Feynman: the moment his wife died. But he was a scientific mind. Shortly after he remembered that he had repaired that same clock several times, and it was pretty fragile because of that. The nurse must had stopped it when they picked it to check the time of death. Even at the time of tragedy, he used reason and science to make sense of the world. Because science can make the world a more beautiful place!